Why Learn To Fly With Us? Fullerton Municipal Airport (KFUL) is uniquely located near the border of Orange County and LA County and at the intersection of two major freeways, the 5 and the 91. We are a 10 minute drive from Disneyland, 30 minutes from Hollywood and 30 minutes from Huntington Beach. You can start flying with little to no delay, thanks to KFUL being a municipal airport. 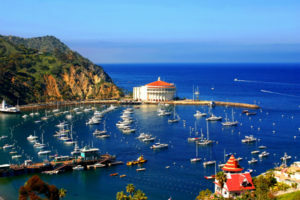 The romantic, wild and mystic island of Catalina is only 36 NM away, ready to be explored. 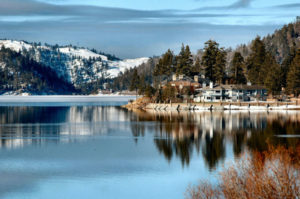 Big Bear, the winter playground of Southern California, is only 61 NM from our airport. 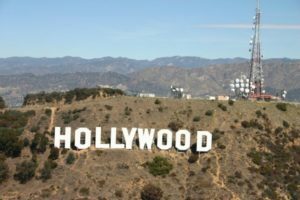 The Hollywood sign? Less than 25 NM away! We are located right next to the runway with our aircraft parked less than 500 feet from the center point of the runway. This enables you to spend minimal time taxiing and maximum time in the air! Parking is located directly in front of the building so you won’t have to walk far either! That’s all nice and good, but why fly with us? Well, for one thing, we do everything possible to keep our rental rates as low as possible to make sure the adventure of flying is accessible to everyone! All of our aircraft are maintained to the highest commercial aviation standards and are suitable for IFR and VFR flight. 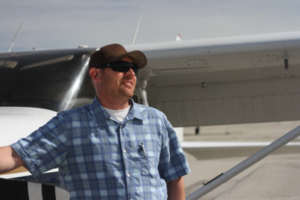 We hire only top-notch instructors with a proven track record of students passing their FAA check ride. What does this mean for you? Your time and your money will be well spent as you learn to fly with us! Garrett Hess, the owner, came from a background in more traditional education… He used to be a classroom teacher. After years of teaching children of all ages everything from reading and writing to geometry he left to pursue his dream: aviation! Besides running the business Garrett still teaches today and is often seen flying high overhead in his classroom in the sky!